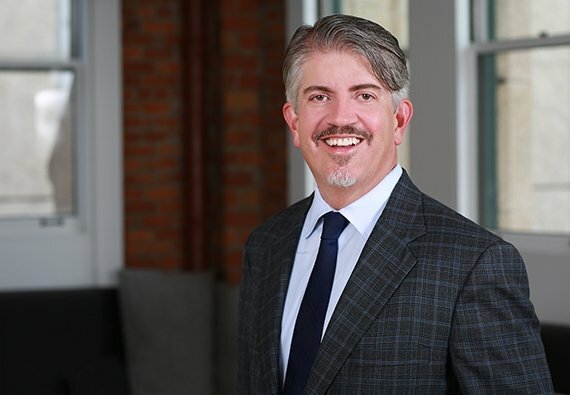 Jim Colopy has extensive experience representing private and public entities in environmental and commercial litigation, environmental compliance and alternative dispute resolution proceedings. Jim's significant complex environmental litigation experience includes representing manufacturers, chemical companies, developers, and governmental institutions in environmental enforcement actions, citizen suit litigation, cost recovery actions, toxic tort cases, and product liability actions and administrative proceedings involving federal, state and local environmental laws. An efficient and effective trial lawyer, Jim was hired shortly before trial to replace prior counsel for the plaintiff in a complicated groundwater cost recovery lawsuit, where he represented the client through an intense discovery and trial preparation phase culminating in a very favorable settlement. In another matter, he was brought into a case to represent defendants on post-trial motions following a $100 million punitive damages award, which he reduced by 93 percent. Jim also represented a plaintiff at a five-week jury trial and obtained a substantial award of punitive and compensatory damages. Jim frequently represents individuals, family-owned businesses, and trust institutions in complex trust, estate, and probate litigation in courts throughout California. He has litigated numerous different types of disputes, including breach of trust claims, beneficiary disputes, will and trust challenges, creditor claims, undue influence and incapacity, and community property claims. Recent successes include the multi-year representation of a trustee in numerous trust litigation and trust administration associated with a large complex trust with over $150 million of real property, partnership and business assets, the successful defense at trial of an attempt to invade numerous wealthy family trusts through a marital dissolution, and the representation of a client challenging a will and estate plan on the grounds of incapacity. Mr. Colopy regularly speaks on environmental litigation and trust and estate litigation. He served as chair of Farella’s Environmental Law Department for six years and has served as co-chair of the firm's Diversity & Inclusion Committee. An experienced San Francisco trial lawyer; I help clients, large and small, solve their complex environmental, toxic tort and land use problems across the nation.